In conjunction with Sexual Assault Awareness Month, an Ohio State student organization is devoting one week to educating students on sexual assault and violence. Take Back the Night is a national student group that focuses on spreading awareness on the subject of sexual assault and violence. 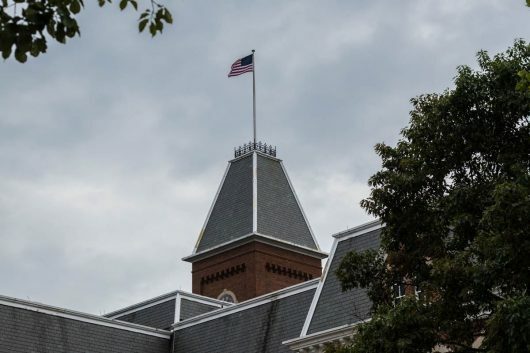 Ohio State’s chapter, which briefly had been defunct after most of its members graduated, is mixing social media with social change Monday through Thursday. The events kick off Monday with “TBTN Media Campaign: Know the Facts,” in which sexual violence facts will be tweeted alongside the hashtags #tbtnOSU18 and #SAAM. In addition to the social media campaign, a trauma-sensitive yoga session will be held in the Multicultural Center at 6:30 p.m.
On Tuesday, students are encouraged to create posters stating ways to combat sexual assault and violence. A dialogue focusing on fighting against sexual violence will be held that night in the Alonso Family room in the Multicultural Center. The discussion-based event will include campus and city representatives. In the middle of the week, students will be asked to write love letters to sexual assault and violence survivors. In addition, a historical discussion on the organization and its future will be held Wednesday night. A march will conclude the week at 6:30 p.m. Thursday. It will be accompanied by campus security, and participants will walk into the Union for a short, silent protest. Following the silent protest, an “Evening of Empowerment” will include poetry and music seeking to inspire “creative empowerment,” Terres said. Student involvement should come with an open mind, said Arielle Forte, a second-year in exploration who is organizing some of the events.